wings on his heels, a small Hermes signaling to the Great Bear. and I can no longer steer him homeward. Forthcoming in What is Long Past Occurs in Full Light (MotherTongue Publishing, Summer 2019). 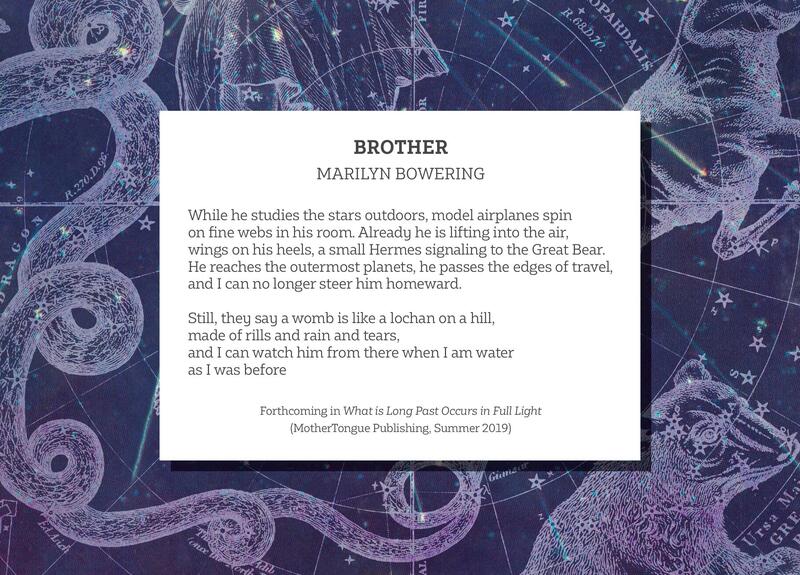 Marilyn Bowering is a poet and novelist who lives on Vancouver Island.